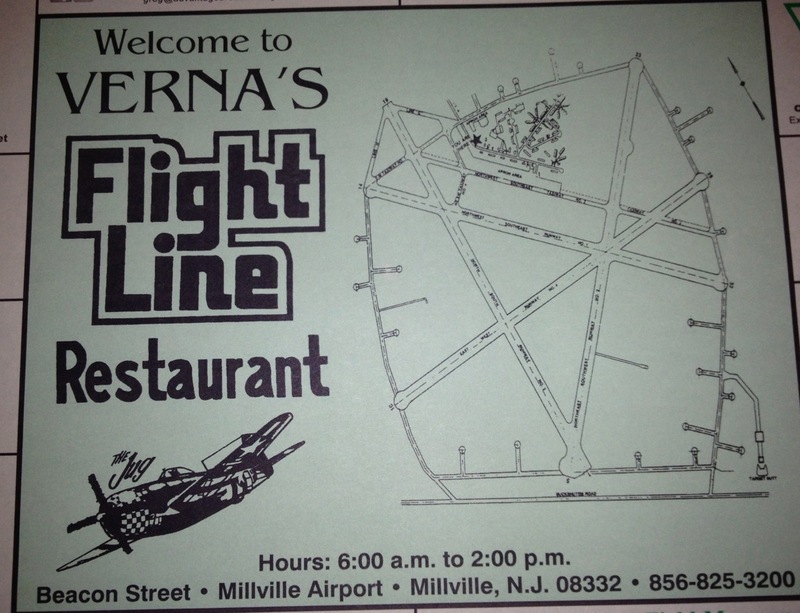 Verna’s Flight Line Restaurant has been on my list of places to check out for a long time. 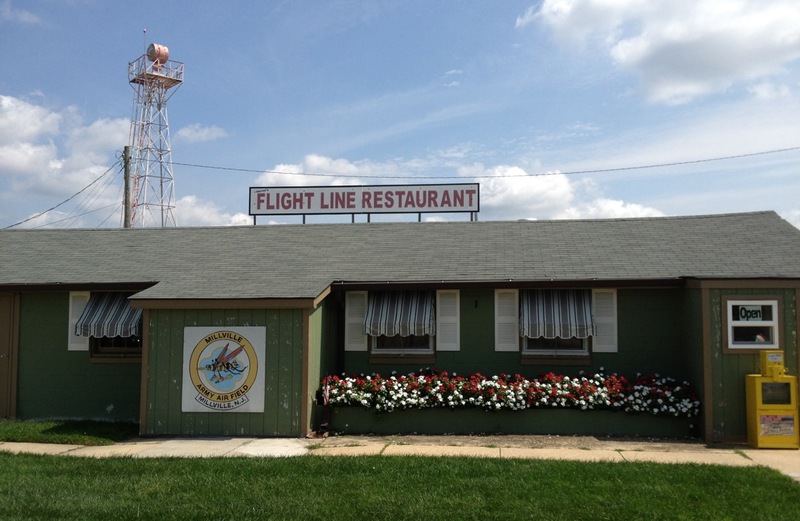 It’s located at the Millville, NJ airport, which is a place with tons of history, especially relating to the Second World War and P47 Thunderbolts. Of course, I’m a fan of history, airplanes, and good diners. Hence, Verna’s fits all three bills. 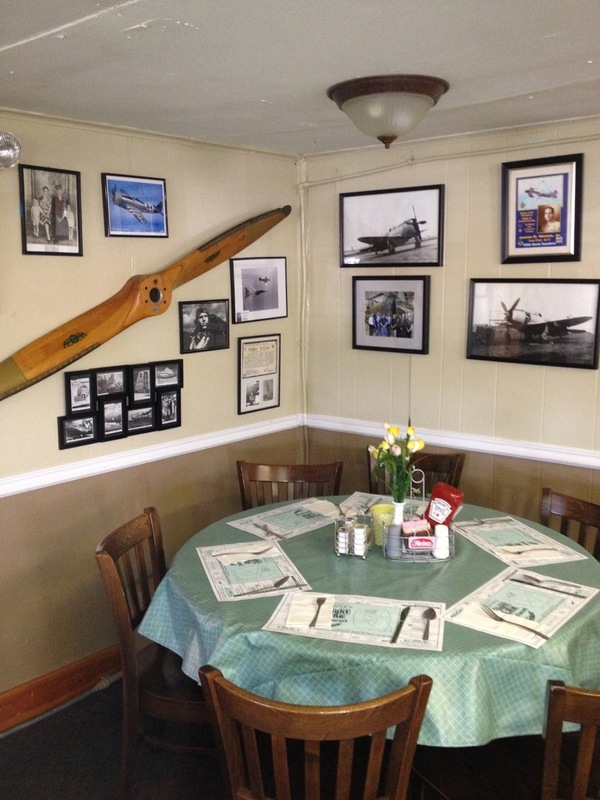 It’s a small place with a short counter and some tables among photos and airplane memorabilia. Flyers and non-flyers will be at home here. So what about the food? This is a diner (in my humble opinion) so you can expect the usual burgers, club sandwiches, and specials. 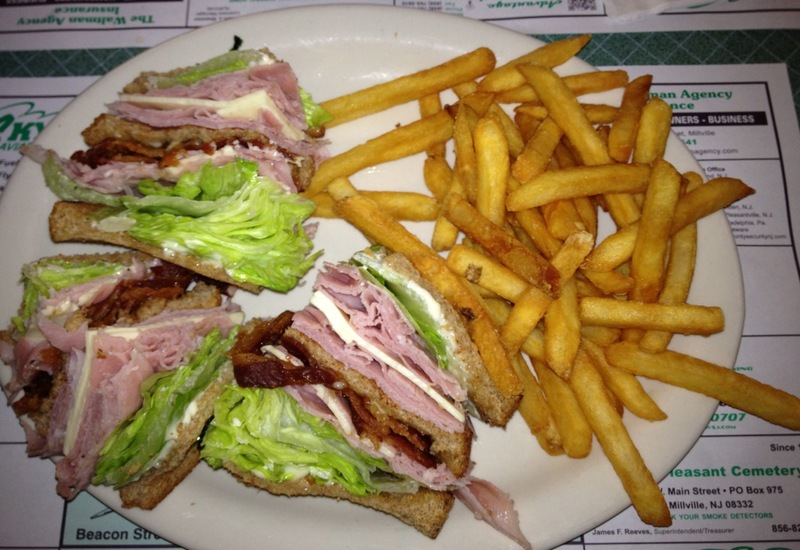 I went with the club sandwich and a side of fries. Let me say, they were both delicious, perfectly prepared, and served with a smile. Flight Line Restaurant club sandwich. There was another quarter of the sandwich, but I ate it before remembering to take the photo. Anyway, it was all good and reasonably priced, not to mention served within sight of the runway. Can’t ask for more than that. All the info you need is right there in the photo above. Call before you go as they do close for certain holidays and special events. Enjoy the flight and the meals!